Time for your weird casting news of the day (yes, weirder than Jason Segel as David Foster Wallace!) According to E! 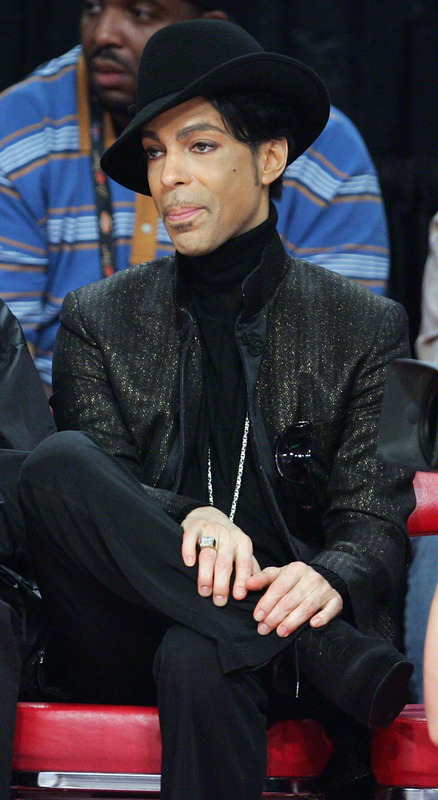 Online, Prince is set to guest star on New Girl early next year, in the comedy's major Super Bowl episode. Yep, you read that right — Prince on New Girl. New Girl, guest-starring Prince. Prince as himself on an episode of New Girl. No matter how you phrase it, it just sounds weird, right? It's true, though — the legendary pop singer is set to make his TV comedy debut on the show, because apparently he's a fan and has been asking to guest star on the series for a while now. He'll reportedly be portraying himself, and he'll come "between" Nick and Jess somehow, whatever that means. My running theory is that he's going to serenade Jess away from Nick while dressed as Dave Chappelle dressed as him, but that's probably just a pipe dream. Maybe. Fox has not officially commented on the news, but series star Hannah Simone did tweet this cryptic message yesterday, leading us to believe there's truth to this: "Big Deal Alert! Exciting news coming tomorrow....." Not to mention, Prince himself retweeted it from his @3RDEYEGIRL account, soooo official confirmation probably isn't too far off. The episode (and, y'know, the Super Bowl) will air on Feb. 2.